Tamoxifen resistance is a major clinical challenge in breast cancer treatment. Aromatase inhibitors are effective in women who progressed or recurred on tamoxifen, suggesting a role of local estrogen production by aromatase in driving tamoxifen-resistant phenotype. However, the link between aromatase activity and tamoxifen resistance has not yet been reported. We investigated whether long-term tamoxifen exposure may affect aromatase activity and/or expression, which may then sustain tamoxifen-resistant breast cancer cell growth. We employed MCF-7 breast cancer cells, tamoxifen-resistant MCF-7 cells (MCF-7 TR1 and TR2), SKBR-3 breast cancer cells, cancer-associated fibroblasts (CAFs1 and CAFs2). 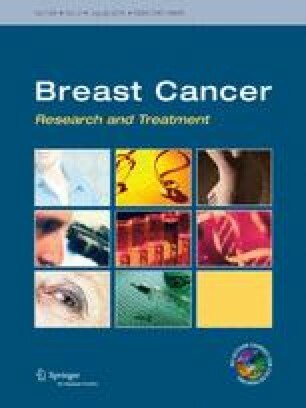 We used tritiated-water release assay, realtime-RT-PCR, and immunoblotting analysis for evaluating aromatase activity and expression; anchorage-independent assays for growth; reporter-gene, electrophoretic-mobility-shift, and chromatin-immunoprecipitation assays for promoter activity studies. We demonstrated an increased aromatase activity and expression, which supports proliferation in tamoxifen-resistant breast cancer cells. This is mediated by the G-protein-coupled receptor GPR30/GPER, since knocking-down GPER expression or treatment with a GPER antagonist reversed the enhanced aromatase levels induced by long-term tamoxifen exposure. The molecular mechanism was investigated in ER-negative, GPER/aromatase-positive SKBR3 cells, in which tamoxifen acts as a GPER agonist. Tamoxifen treatment increased aromatase promoter activity through an enhanced recruitment of c-fos/c-jun complex to AP-1 responsive elements located within the promoter region. As tamoxifen via GPER induced aromatase expression also in CAFs, this pathway may be involved in promoting aggressive behavior of breast tumors in response to tamoxifen treatment. Blocking estrogen production and/or GPER signaling activation may represent a valid option to overcome tamoxifen-resistance in breast cancers. Stefania Catalano and Cinzia Giordano are joint first authors. Sebastiano Andò and Ines Barone joint senior authors. The online version of this article (doi: 10.1007/s10549-014-3017-4) contains supplementary material, which is available to authorized users. This work was supported by Associazione Italiana Ricerca sul Cancro (AIRC) grant IG11595. Futuro in Ricerca 2012 RBFR12FI27 to IB. European Commission/FSE/Regione Calabria to FC and SP. MM was supported by Associazione Italiana per la Ricerca sul Cancro (project no. 12849/2012), AIRC project Calabria 2011 (http://www.airc.it/) and Fondazione Cassa di Risparmio di Calabria e Lucania. The authors declared no conflict of interest and no financial relationship with the organization that sponsored the research.